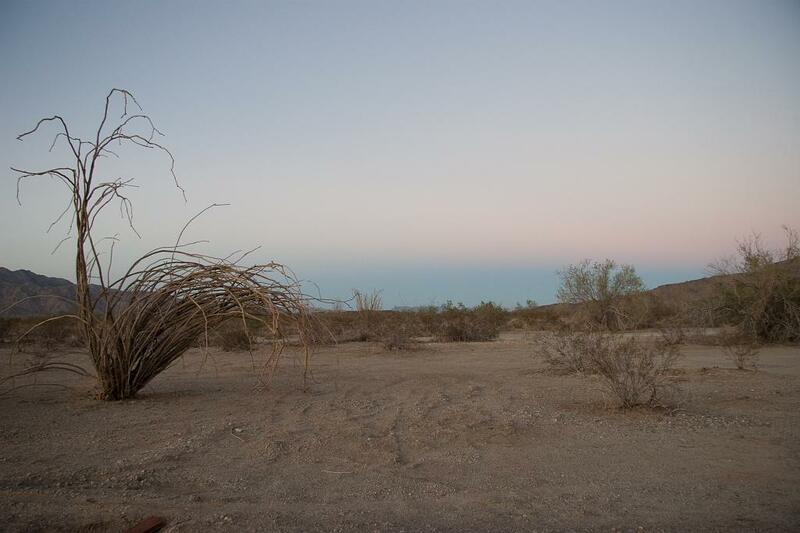 When the clear sky chart reads perfect, we can’t wait to get out to our favorite dark sky observing site, Chuckwalla Bench. I wondered what would happen when Mojo started dabbling in the dark art of imaging. I’m the old fashioned alt-az dob girl, and now my hubby would be keeping warm at the star party with the heat from electonic power supplies and batteries. Poor me! I pouted (for only about a year or so) before I learned to love the dark arts, and we now happily observe and image with only our 1998 green Dodge Caravan separating “his” imaging zone and “her” visual observing zone. 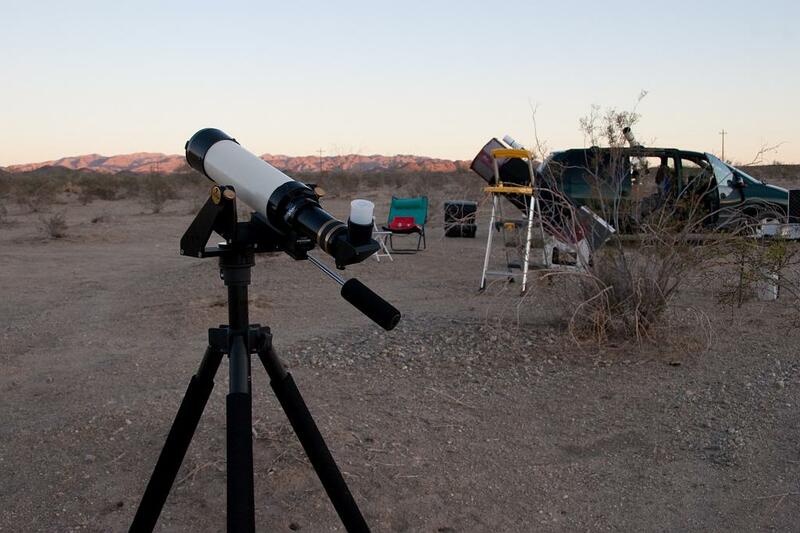 New moon Saturday night in October 2009 was another perfect observing night in the Colorado desert of Southern California. Temperatures were in the 90′s before the sunset, and cooled to about 65 by 2 a.m. when we took a pre-dawn snooze. Humidity remained in the teens. 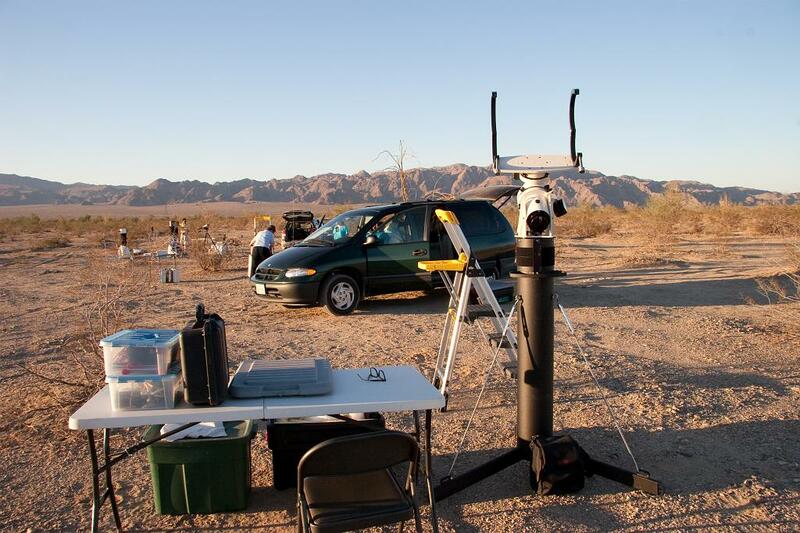 Last month we had a great time combining visual observing and imaging. On the “visual” side of the observing field Gary and I were struggling to confirm our main project for the night, the asteroid Juno. Mojo was imaging the same target, and a quick look at his Juno image confirmed the star fields we were looking at visually. It was a lot of fun! This month Gary and I were hunting down NGC 7640, a pretty elongated barred spiral galaxy just 4 degrees to the south of the popular Blue Snowball planetary nebula. This mag 12 galaxy should have been easy to find but its low surface brightness made it a challenge. It took my 17.5-incher to provide a great view, and then Gary was able to see it in his 12.5 incher too. In my scope the long and narrow galaxy’s core seemed bright, long and twisted, and the spiral arms were visible as wisps off both edges. We called Mojo over for a look and he thought it would make a nice imaging project, which it did! Next it was Mojo who suggested a target he had imaged would make a nice project for us push-to observers. NGC 7541 is called a “showpiece” galaxy group in the Night Sky Observers Guide in Pisces. Soon I had a gorgeous visual view of this pretty pair of galaxies in my telescope, and called Mojo over for a view. The other benefit of Mojo’s new hobby is that I can “suggest” targets for him to image. Then I can use them in my What’s Up podcast series. I used 4 of his lovely images in October’s Podcast about the Andromeda Galaxy. See if you can spot them. Two are views of the Andromeda galaxy. One shows the whole galaxy, and the other shows the galaxy as a smudge — exactly as it looks in a modest visual telescope. The other two are Milky Way images, one showing a washed out Milky Way (what most people actually see) with Jupiter and the other is his very pretty image of M52 and the Bubble Nebula, some of our own Milky Way’s jewels. So it is possible to combine imaging and visual observing, and I look forward to our next outing! I’m preparing my “Honey Do” list of imaging targets to “suggest” to Mojo already.